No one wants to deal with a burst water pipe but every year, millions of Americans are caught off guard by this nuisance. 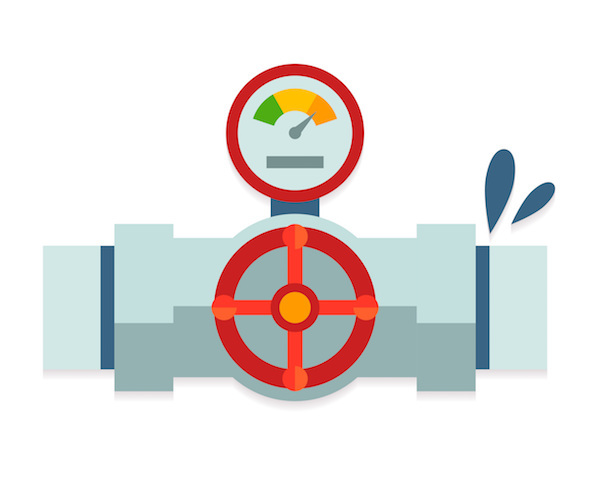 If you have a burst pipe, it’s critical to act quickly to minimize the damage. To act fast, you need to know exactly what to do. Here are a few basic tips that will help you better handle any burst water pipes. 1. As soon as you notice a burst water pipe, turn off the water supply and remember the leak’s location. The water main valve is usually where the pipe gets into your house or under the sink. 2. Once you’ve turned off the water supply, you need to drain your plumbing system. To do that, turn on all cold-water taps and make sure you flush the toilets. 3. 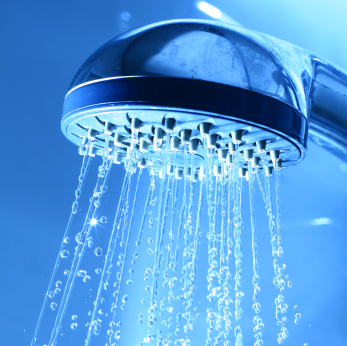 Switch off the water heating, and turn on your hot water taps to continue drainage. 4. Turn off the power. Water from burst pipes may damage your electrical wiring. This can destroy your appliances and puts you in danger. Turn off the electrical system, but make sure it isn’t wet. If any of its parts are wet, stay away from it because you might be electrocuted. Call an electrician right away. Before you fix the leaking pipe, you need to clean up the leaked water. If you caught the pipe burst early, chances are there’s not much water around the house. However, if it’s been dripping for a while, you need to be careful because the structure of the house may be affected. You can try to repair the pipe yourself if the leak was caused by a loose fitting. You can also replace the broken pipe segment with a new one. In an average of just 90 seconds, TalkLocal can put you in touch with a local certified plumber who can repair your pipes in no time. If there’s one sure thing in life, it’s that accidents happen. 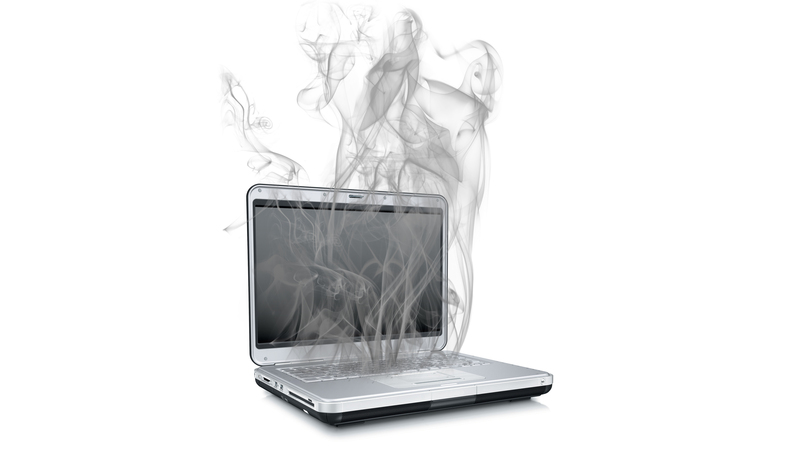 You know you should buy insurance to protect the important things, like your healthcare, your car, your house, etc…but insurance can also protect you from the less-serious hassles in life, like when your past-warranty dinosaur-of-a-laptop from the Clinton presidency finally kicks the bucket. Below are some convenient types of insurance you never knew existed. Today, a sudden computer failure without a warranty can be more debilitating than a broken finger. Along with the loss of your files, you have to quickly cough up the dough for a replacement to avoid falling behind on work. Fortunately, a multitude of businesses can sell you extended warranties to make the transition between computers a little less stressful. TV commercials have made it common knowledge that motorcycle insurance is available, but some of us like our cycles better without a motor. If you live in a high-crime area, your bicycle is an enticing target for theft. Thankfully, there’s now a thriving bicycle insurance market. Some of the big names include Velosurance and Markel. Many homeowner’s insurance policies won’t cover repairs to your plumbing system, and if you live in an area with substantial temperature changes throughout the year, pipe problems can be all too common. Once again, plumbing insurance can ease these worries, and there are a variety of providers to choose from. If any of your possessions regularly costs you hundreds of dollars in repairs or replacement costs, insurance may be a good option. However, it can’t keep your things from breaking or disappearing in the first place. When you need something replaced or repaired, check out TalkLocal’s iOS/Android app or website to get connected to service professionals near you right away. If your piping system is giving you a hard time, it might be best to rely on the expert guidance and the professional services provided by a licensed, certified plumber. Your specialist can also provide additional info on different types of materials used in this field of activity, like high-density polyethylene (HDPE), for instance. High-density polyethylene is catalogued as a polyethylene thermoplastic produced from petroleum. It has numerous and much-appreciated properties that make it suitable for a wide range of applications, including its superior strength and its ability to withstand high temperatures ranging from 110 degrees Fahrenheit to 230 degrees Fahrenheit. HDPE has a density of up to 0.97 g/cm3 and it is resistant to a large segment of solvents. This is the main reason why it has been given so many uses. More than 30 million tons of HDPE are being manufactured worldwide at this point in time. Where Is High-Density Polyethylene Being Utilized? HDPE is a very versatile material that serves many purposes. Pipes made from this material are much appreciated for their long service life, incredible resistance and their ability to transport numerous kinds of substances, including compressed gasses, oils and even toxic waste in a fast, risk-free and cost-effective manner. Don’t know if HDPE pipes would be the perfect choice for your next project? When in doubt, just ask a certified plumber. Find the most competent one in your area with TalkLocal, your free source of information. Give it a try and you won’t regret it. 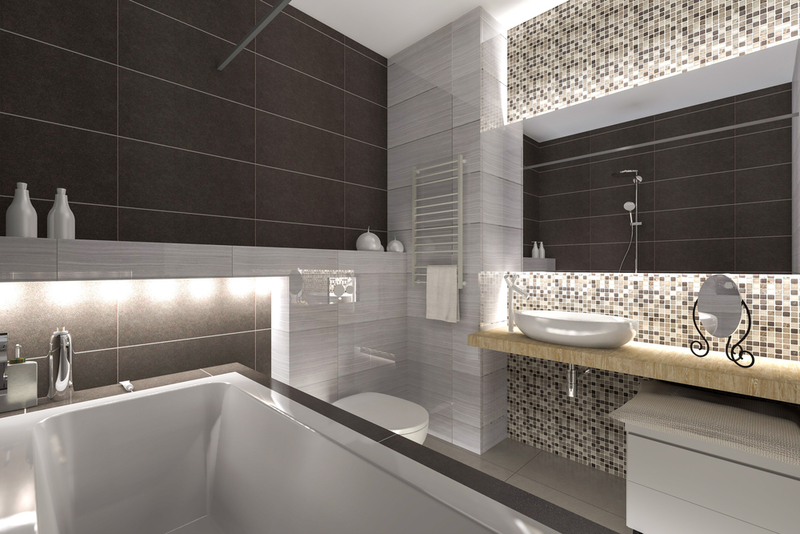 Plumbing problems are always annoying, but if you address them early on, you can restore the good functioning of your home and avoid high costs in the long run. In case you have trouble with your main sewer line, it’s important to know what to do. The most common problem that may occur is main sewer line clogging. However, main sewer line repairs often require more than a simple unclogging procedure. If you don’t know much about plumbing, it’s best to call a professional to check your main sewer line. Here are some tips that will help you better understand what is involved in a main sewer line repair. If your main sewer line repair involves replacement, there are several aspects to be considered. A licensed plumber has the skills and expertise to inspect your main sewer line and perform the right repair method. The first thing to deal with is the size of the new water main. This is important because water pressure depends on it. A plumber can suggest an upgrade of your water main before replacing it if your household needs a larger water supply. Of course, this means a larger water bill, but it will also be more convenient for you and your family. The choice is yours to make, depending on your needs. Materials used for main sewer line repairs need to be approved by the municipality. That’s why you need professional advice when choosing your new main sewer line. The most common materials include copper, iron, and brass. These can be caused by a leaking main sewer line or because your tap connection is not big enough. 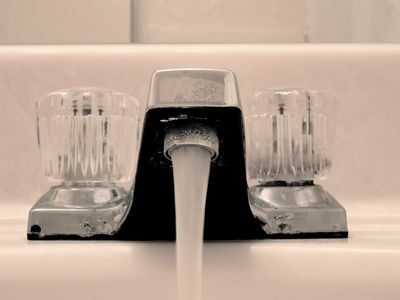 Installing a new tap connection is not difficult and can increase the water volume in your household. 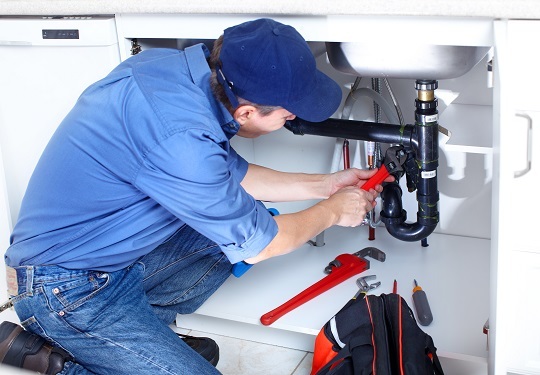 If you need a plumber for main sewer line repair or any other problems with your plumbing system, TalkLocal can put you in touch with local professionals in minutes. A home’s main water line attaches to the water company’s big water line and runs directly into the house. When this breaks, it can quickly overflow and even enter into the home. Often these breaks require a simple repair, but in some extreme cases, a main water line must be replaced. To access the main water line a trench must be dug. Before any digging commences, 8-1-1 should be dialed. Contacting this free service, available in all states within the United States, is required before anyone (professional or do-it-yourself) digs into the ground. The service will come out and mark the locations of the water line so that the digging area is outlined and obvious. This prevents any accidental digs into gas lines. The service is free and essential for digging safety. Some cities require a permit before a main water line can be repaired or replaced. Contact the local building authority for any permit requirements and obtain the necessary permit before digging; otherwise, the project could be fined. Water should be shut off from the home as well as the main water supply. If you cannot locate this, contact the local water department for assistance with the shut off. The shut off valve can be located in your basement, crawl space, or in a utility room, depending on when your home was built. Second Pipe or Full Replacement? When replacing a main water line for a house, you will have to choose between adding a second line and replacing the original pipe. Depending on the severity of a break, sometimes a new line can be added, connected to the existing line, and rerouted without removing or replacing the original pipe. This is because replacing the original pipe – the one that leads through the wall or floor of the home and connects the water to the rest of the structure – can be extensive and require the assistance of a professional contractor. If you’re feeling out of your element, give TalkLocal a ring today. 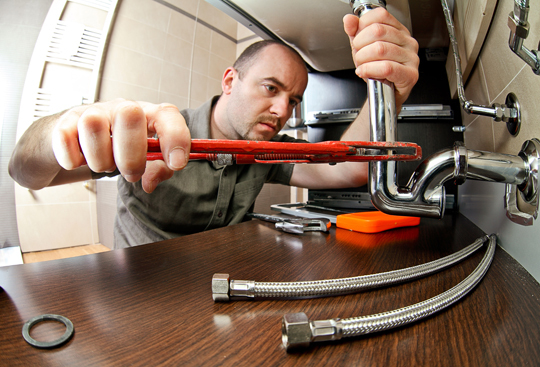 TalkLocal can connect you with professionals in your area skilled in main water lines in houses, so your job is done quickly and professionally the first time around. Water heaters often break down at the most inconvenient time, forcing homeowners to make quick decisions when purchasing replacement units. Fortunately, Sears offers many reliable models from trusted brands such as Kenmore, EcoSmart and GE. However, while it’s great these brands are easily available at the nearest branch of Sears, water heaters are not simple home appliances that you can buy without giving them much thought. What is more readily available in your home to fuel the water heater – electricity or gas? When it comes to gas fuel, propane gas, and natural gas are typically used to run water heaters. Do note that these gases have distinct properties so make sure to use only the fuel specified for use with a particular type of gas heater. Check that you choose a water heater that can safely operate on the specific gas source you have at home. With electric water heaters, one of your main concerns is making sure your home has the correct type of electric circuit. These heaters normally run on either a 240-Volt or 120-Volt power supply. Determine the electrical circuit you have at home so you can choose the appropriate model. Make sure you have enough space that will accommodate the water heater, its proper operation, and future servicing. Consider any potential space restrictions or special requirements for installing the unit. Keep in mind that gas water heaters must be installed in a vented room and should be located as close as reasonably possible to the chimney or vent, which should have the proper design and size. Meanwhile, electric heaters need to be connected to properly sized circuit breakers. This is one of the most important considerations when shopping for water heaters. Hot water needs will naturally differ from one household to the other. Recommendations as to the correct capacity are typically based on the number of household members. In general, a 170-liter tank electric water heater is recommended for a family of 4, 225-liter for 5 to 6 people and 273-liter for a family of 7 to 8. For gas water heaters, a 40-gallon tank is ideal for a household of 4 while a 50-gallon tank is suitable for 5-6 people and a 65-gallon tank for 7 people. If there are teenagers in the home, an oversized or whirlpool bathtub, it’s a good idea to go for the next bigger capacity tank. According to Sears, water heaters should always be installed to meet applicable installation regulations. Sears professionals and the company’s authorized contractors can help you with this. If you need help finding a qualified plumbing contractor, contact Seva Call now and we’ll connect you to up to three professionals in no time. HDPE or High Density Polyethylene is a thermoplastic, which is widely used in plumbing applications. HDPE water pipes are used in residential and municipal plumbing systems to replace old piping or to install new pipelines. HDPE water pipes have a series of advantages over more traditional materials such as copper or even PVC. First of all, HDPE are cost effective as compared to other materials used for plumbing. Their relative low cost in relation to their estimated life cycle of about 50 years in normal conditions makes HDPE pipes a popular plumbing material. Moreover, HDPE pipes are flexible and corrosion resistant. They are non-toxic, and easy to transport and handle. HDPE water pipes are durable, safe, recyclable, and eco-friendly. They are easy to install and perform well when used as piping infrastructure. HDPE pipes can be installed using a trenchless installation method. This helps you avoid damaging the landscaping and is less labor-intensive. Unlike traditional piping for which joint leakage is a common problem, which leads to significant water loss, HDPE pipes are leak-free, because they can be fused with heat, creating a perfect seal. HDPE water pipes are an affordable option for homeowners looking to replace their plumbing system. Costs vary from supplier to supplier, and depend on diameter and length. When calculating the price for HDPE water pipes, remember that costs are usually provided per foot, and that diameter can range from half an inch to 63 inches. Larger and thicker HDPE pipes are obviously more expensive than smaller, thinner ones. For instance, a large HDPE pipe with a 14-inch diameter will cost about $25 per foot. To get an accurate idea about HDPE water pipe cost, it’s best to ask for an estimate from a HDPE pipe supplier. Seva Call can put you in touch with dependable professionals in your area who can tell you all you need to know about HDPE pipes right away. If you’re looking to replace or install a new water heater, there are many energy efficient models in the market today. Too many, you might say. There are water heaters with tanks, water heaters without tanks, hybrid water heaters, water heaters that use gas, propane, solar energy, and of course, electricity. If you narrow down your choices between two types of water heaters, electric models and gas models, what makes one better than the other? First of all, electric water heaters use heating elements to produce heat. These elements consist of a set of large, elongated coils contained inside the tanks, which are just like the ones you can see in an electric stove or oven. These coils, which are submerged in water, heat up to supply hot water to the home. In general, gas water heaters are more efficient than water heaters that are electric. They typically heat faster compared to their electric counterparts and use up less energy in the process. Also, the cost of electricity is higher than the price of propane or natural gas. On the other hand, electric water heaters require lower upfront costs. In other words, they are cheaper to buy even compared to the same size of gas heaters. Therefore, you should definitely consider buying an electric water heater instead of a gas model if your household has minimal need for hot water. Another major advantage of electric water heaters over gas-fueled ones is in the aspect of installation. Water heaters that are electric are simply easier to install than gas-fueled types because of the fact that they do not need to be vented. This means it doesn’t matter if you don’t have roof vents or a chimney. Since electric water heaters don’t burn fuel and produce gas emissions, you can install them in an enclosed space, even a closet. 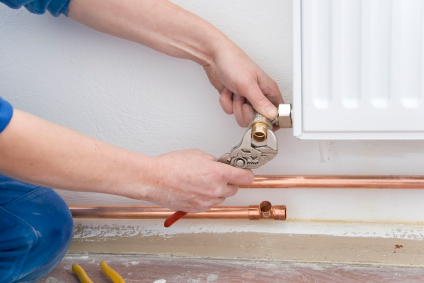 Installing a Water Heater in Your Home? If you just purchased a water heater and need help with installation or maintenance, Seva Call can find the best people to do the job for you. Find local plumbers quickly. Contact us now! 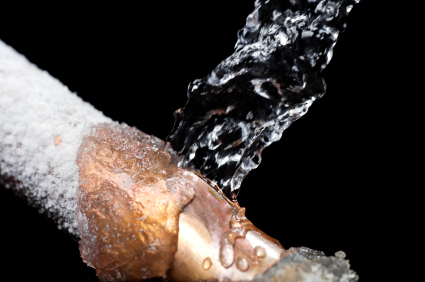 In extremely low temperatures, many residents find that the water lines in their homes had frozen and they are faced with a potential costly repair scenario, which can reach thousands of dollars when those frozen lines thaw and lead to burst pipes. Once water lines in homes burst, they definitely need to be replaced. In addition to that, they can also create water damage in the home. This is why homeowners should do a better job of preventing the problem of frozen water lines. Homes can be protected from the damage of burst pipes in the future by keeping the following tips in mind. If you’re expecting cold weather, open your faucets a little to allow water to trickle. When water is moving, it takes a lot more time for it to freeze as opposed to standing water. By letting water trickle down the faucet it will run through the pipes continuously, which can help keep water from freezing. Additionally, when you leave your faucets open just slightly, it will release any pressure in the pipes between a frozen spot and the faucet. This can also help prevent burst water lines in homes. The only thing you have to remember is to inform your household members that you are intentionally letting the faucets drip so that no one will mistakenly turn off a tap. Leave your sink base cabinets ajar to allow warmer air inside the kitchen to circulate throughout the inside of the cabinet. Doing so will help the warm air get into the pipes, particularly if the pipes are located outside the wall. You can also put a small portable heater inside the cabinet or near it to help warm the pipes. Insulating the pipe or pipes that can cause the potential problem is another preventive trick. You can use electrical heat tape to wrap the pipe/s or insulate them using foam insulation wrap. The latter is ideal for pipes that are located in spaces without heating such as the attic, crawlspaces, basement, or garage. Additionally, you can also place a heater in these areas. You don’t have to keep these spaces toasty as long as the temperature is just above freezing, then it will help prevent the pipes from freezing. Having Problems with a Frozen Pipe? In wintry weather, the first sign of frozen water lines in homes is when there’s no water coming out of the faucets. Oftentimes, you can thaw a frozen pipe before it bursts, so call a plumber quickly when you encounter this problem to minimize damage and costs. Seva Call can get you connected with local reputable plumbers in no time. Contact us now.